It might not be genetic but there appears to be a clear association between having inflammatory bowel disease and having a damn good sense of humor. IBD is a serious digestive disorder and is no laughing matter. The umbrella diagnosis includes both Crohn’s disease and ulcerative colitis, and affects an estimated 1.4 million people in the United States alone. There are very few treatments for the condition, and the sometimes very painful symptoms can leave those with IBD feeling embarrassed, isolated and alone. But looking at some great blogs by people with the condition, it’s easy to see that having a good sense of humor certainly helps get you through the hard times. How can you not at least crack a smile at titles like “Leaving the Seat Down”, or “Blood, Poop & Tears?” By writing about the condition and its symptoms with sometimes blunt humor, these bloggers are going a long way toward removing any stigma around the disease. 1. You have been diagnosed with Crohn’s disease or ulcerative colitis by a qualified physician. 2. Your willingness to submit a saliva sample for DNA testing and complete online surveys related to your condition. 3. You have access to the internet. 4. You are at least 6 years old (those under 18 require a parental consent to enroll). 6. You reside in the United States. *If you are a current 23andMe customer, learn how you can participate here. 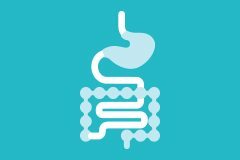 23andMe recently launched a new study of IBD in collaboration with Pfizer Inc. to learn more about what role genetics and environment play in the development of IBD as well as how the condition progresses. Reading through blogs about individuals who struggle day to day, can also inform and motivate what we do. This is by no means a comprehensive list, but here are some of the IBD blogs that made us want to read more. – Inflamed and Untamed – Blogging since 2008, Sara Ringer mixes girl power, fashion and her own poignant personal struggles – including having her large intestine removed – all while advocating for others with IBD. – Blood, Poop & Tears – Like a lot of good IBD bloggers, Jackie is both blunt and funny. In her 20s, she’s been blogging since 2010 about her own struggles with ulcerative colitis. – Intense Intestines Blog – Brian Greenberg is both a blogger and the founder of the Intense Intestines Foundation. He has also been dealing with his own Crohn’s diagnosis since he was just a kid. – J-pouch Life – With a more somber but measured tone, this blog collects stories from people who have gone through surgery or are considering going through surgery to remove their colon. This site has become a great resource for people struggling with determining their best option. It’s a serious decision and the site neither makes light of it nor overly dramatizes it. – The Bright Side of Crohn’s – You’ve got to give it up to any blogger referencing, knowingly or not, Eric Idle’s comedy song “Always Look on the Bright Side of Life.” But Canadian blogger “Brightside,” is a working mom who writes to stay positive. – The Great Bowel Movement – The tagline for this blog is “making Crohn’s and Colitis cool since 2010.” The posts on this blog run the gambit from fitness, nutrition to the latest in drug treatments and other interventions.